In September last year Moscow’s Mercury City Tower overtook London’s Shard to become the tallest skyscraper in Europe. 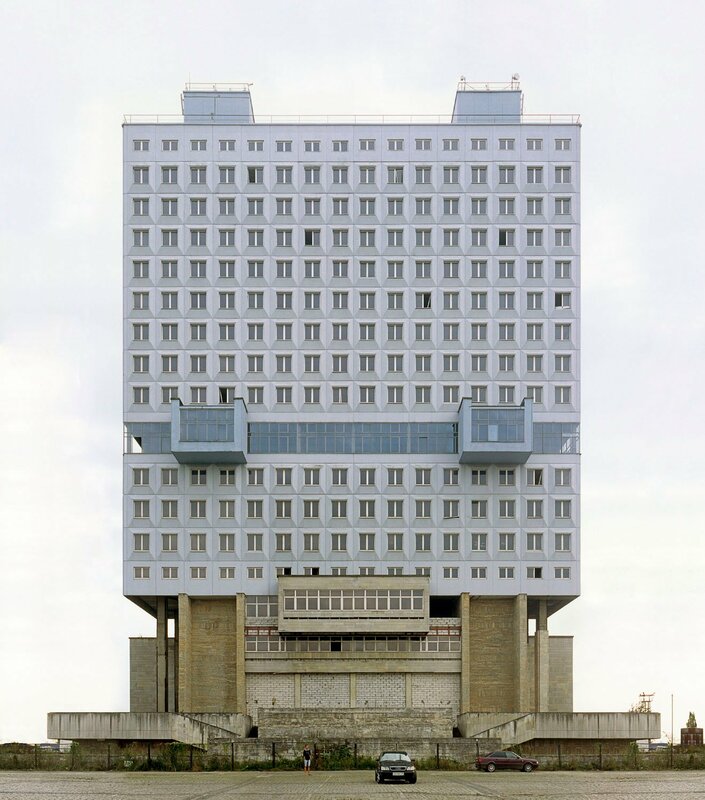 This angular, off-red tower is not the first Moscow building to have been awarded this accolade. In fact, bar the years 1990 to 2005, when it was elbowed out for a time by Frankfurt, and the two-year interval when the Shard crept above the Mercury City Tower, Moscow has been home to the tallest building in Europe for over 60 years. Moscow’s table-topping towers are an unusual bunch, and few of them resemble the post-war glass volumes that dominate the City of London, La Defense or Frankfurt. Take for instance, Dmitry Chechulin's Kotelnichskaya Embankment, the first Russian title-holder in 1952, or Lev Rudnev's tower for Moscow State University, which held the title for longest, from 1953 to 1990 — both of them are chilling, neo-Gothic Stalinist stepped towers. 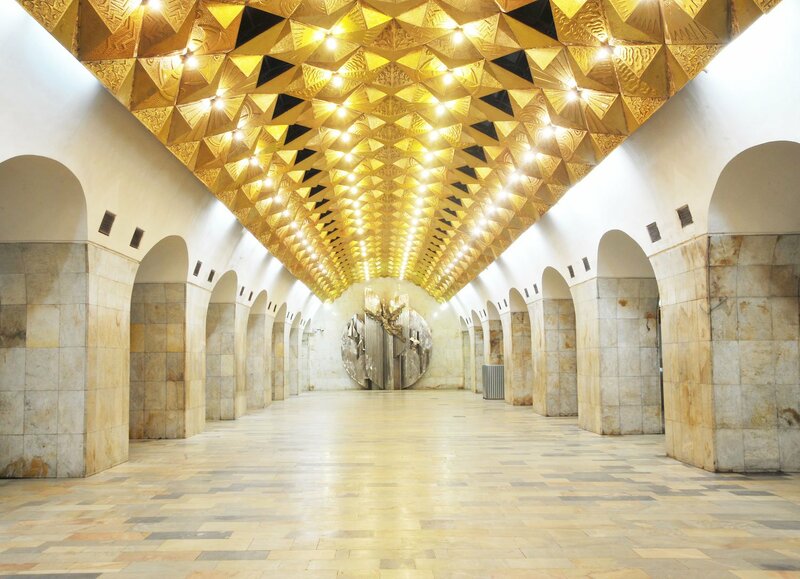 In 2005 they were expressly imitated in the Triumph Palace, in the northern outskirts of the capital, which inched higher than Frankfurt's Commerzbank building. 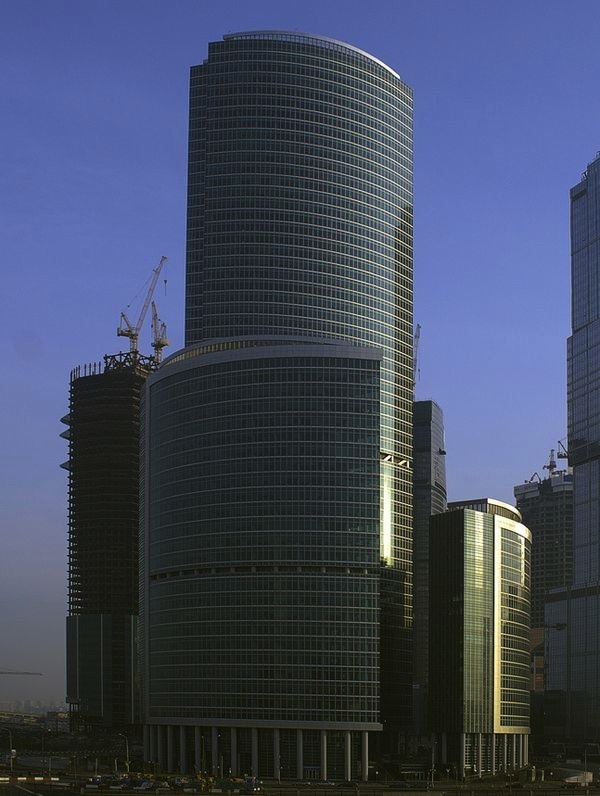 From 2007, a cluster of ever-taller record-holders has been emerging in the Moscow City complex, just to the west of the capital's centre on the north bank of the river. 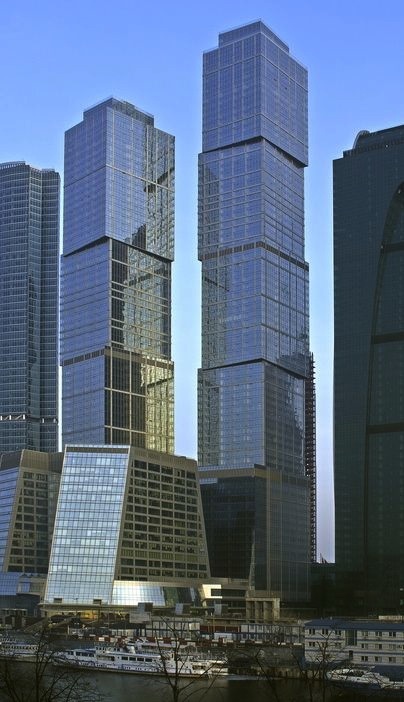 This outcrop of high-rises features the sub-Norman Foster glass curves of the Naberezhnaya Tower (designed by Rogers, Taliaferro, Kostritsky & Lamb), the twin-towers of Capital City (Naramore, Bain, Brady & Johanson) — the staggered cubes of which are by far the most visually arresting aspect of this cluster — and now the current tallest, the Mercury City Tower. 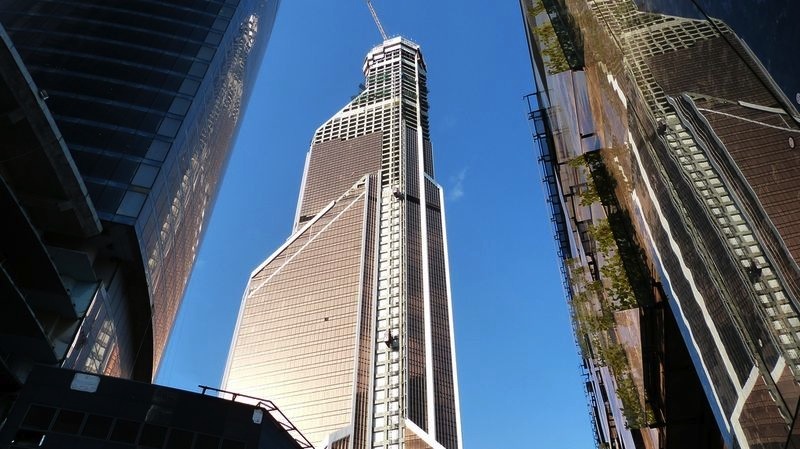 The tower’s unresolved design, which zig-zags its way down its 75 storeys as if unsure what form to take, is the work of American architect Frank Williams (author of the Trump Palace and W Hotel in Manhattan, among others) and Mikhail Posokhin. Posokhin provides a genetic, if not architectural, link to the Soviet high-rise tradition: his father, also Mikhail, was Moscow’s chief architect for 20 years and designed the Stalinist skyscraper at Kudrinskaya Square, near Barrikadnaya metro station. 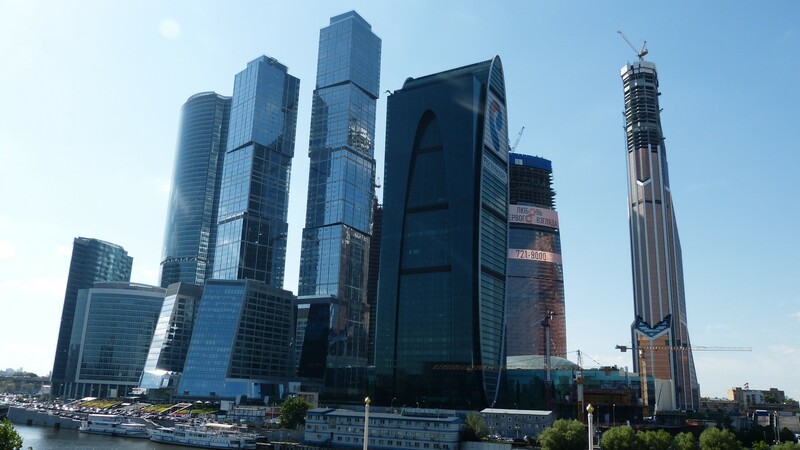 In contrast to the old Soviet record-holders, the new towers of Moscow City closely resemble those in western financial districts; in this way they seem to be attempting to make large-scale contemporary Russian corporate architecture look “normal”. More of the same can be expected from the projects under construction, which include another future record-breaker, the Federation Tower, which is due to be nearly 200m higher than Mercury City. This bland internationalism is particularly disappointing in a city which has seen more — usually unbuilt — innovative, avant-garde skyscrapers than any other. The most famous Soviet skyscraper was, in fact, planned for rival city Petrograd (now St Petersburg): Vladimir Tatlin's 1919 Monument to the Third International, which, with its delicate, open, iron-and-glass form, implied Parisian, rather than American inspiration. But in the Twenties, its status as the nation’s capital newly restored, Moscow soon took priority and saw dozens of proposals for new high-rises. 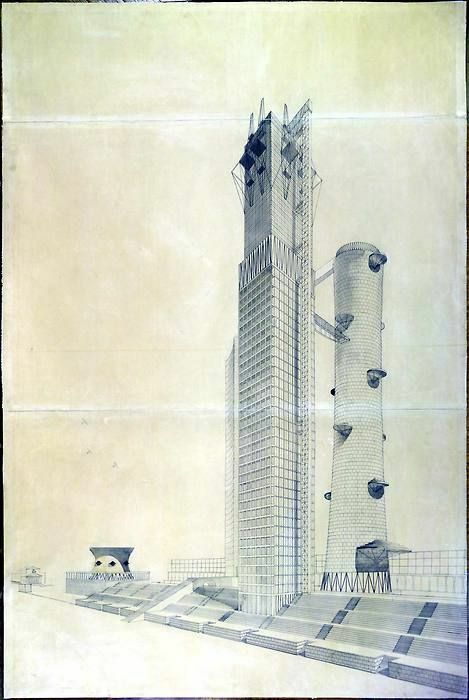 Some were quite obviously unbuildable, such as the entries for the competition in 1922 for the Vesenkha building to house the new USSR's Supreme Soviet of the National Economy. 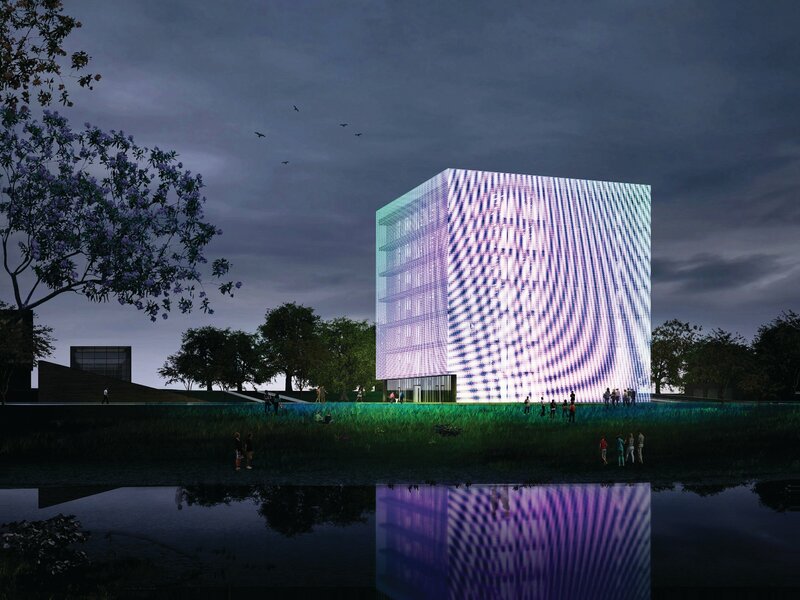 Two of the proposals, both from architects associated with the “psychotechnic” architectural group ASNOVA, were startlingly prophetic of advanced architecture half a century later. S. A. Lopatin's skyscraper, with its interlocking rectangular volumes rising in a stepped section, like an extremely rationalised, futuristic response to the New York zoning code, has a more than passing resemblance to Skidmore Owings Merrill's Sears Tower in Chicago, which had its own short reign as America's tallest. More radical still was Vladimir Krinsky's entry. 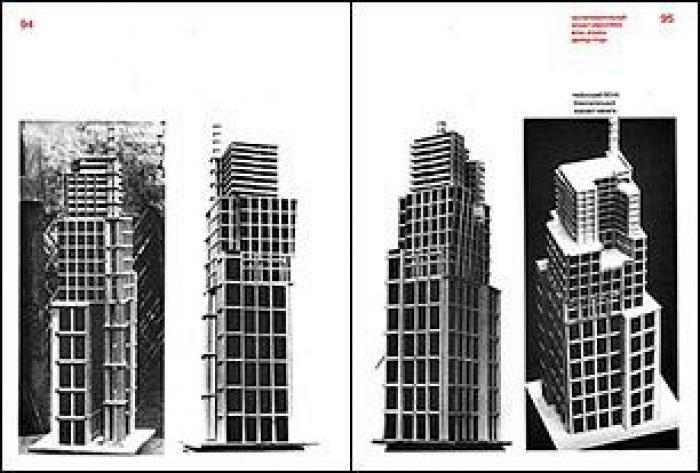 Its clash of structural systems, left open and unadorned and organised into a tall tower, suggested a building that would never be entirely finished, a perpetual skyscraper-in-becoming — something later proposed by the late Lebbeus Woods for the World Trade Centre competition in 2002. 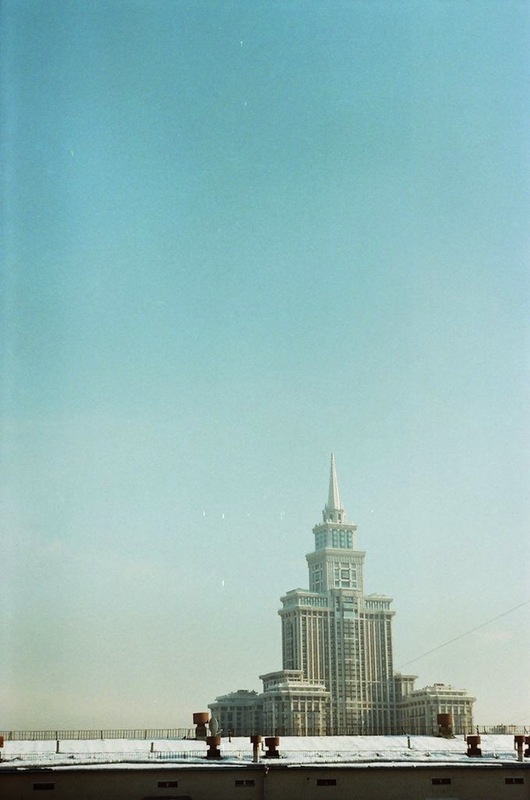 Krinsky's photomontage image of the tower placed into the Lubyanka Square stressed its disjointed, deliberately cranky relationship to the existing city. If these towers were radical as individual buildings, others suggested a different approach to the city itself. Skyscrapers were a strange thing for Communists to be enthusing over, given that the skyscraper was and is such a consummately capitalist creation — the product, essentially, of maximising ground rent in grid-planned American cities, with its structural innovations (the steel frame, non-load-bearing walls) originally a way of keeping skilled, unionised workers out of the production process. The scuffle of the New York skyline, with its competing buildings-as-advertisements, both horrified and excited Soviet designers and ideologists. How could they adapt the idea of the skyscraper and make it part of a plan, enriching the city in a rational, reasoned manner in place of the unplanned chaos of competing corporations? 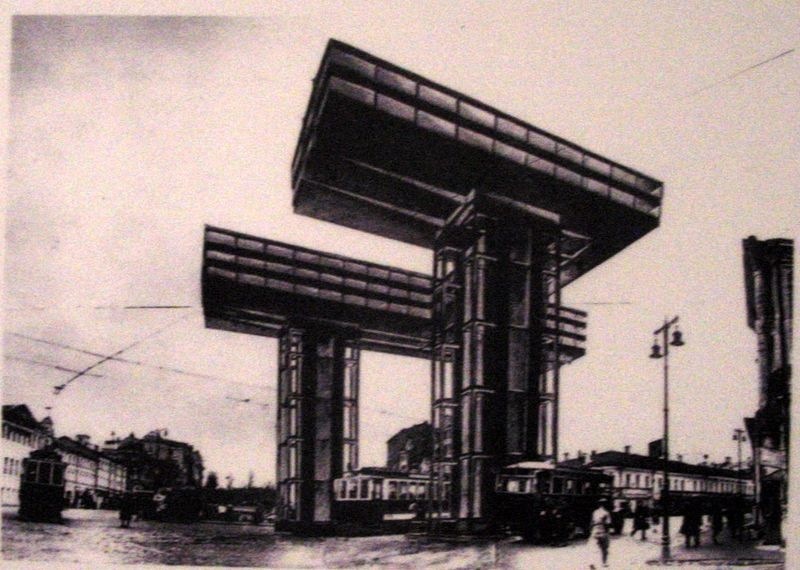 In 1926 El Lissitzky advocated T-shaped towers that would act as “sky-hooks”, not skyscrapers, leaving the ground floor open for pedestrians, placed in a co-ordinated fashion around the Garden Ring, using Moscow's concentric plan rather than the New York grid. 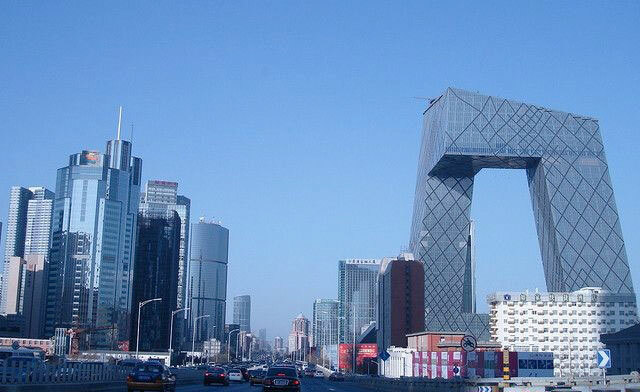 These proposals eventually had influence elsewhere, in bold constructions like the Ministry of Roads in Tbilisi and OMA's CCTV building in Beijing. It was, however, these architects’ use of planning, rather than their architectural ideas, that would come to have the most effect on the skyline of Moscow after World War Two. Before the war, Moscow was the focus of two of the most macabre architectural competitions in history — for the Palace of the Soviets in 1932, and the lesser-known Commissariat of Heavy Industry in 1934, both sites near the Kremlin. 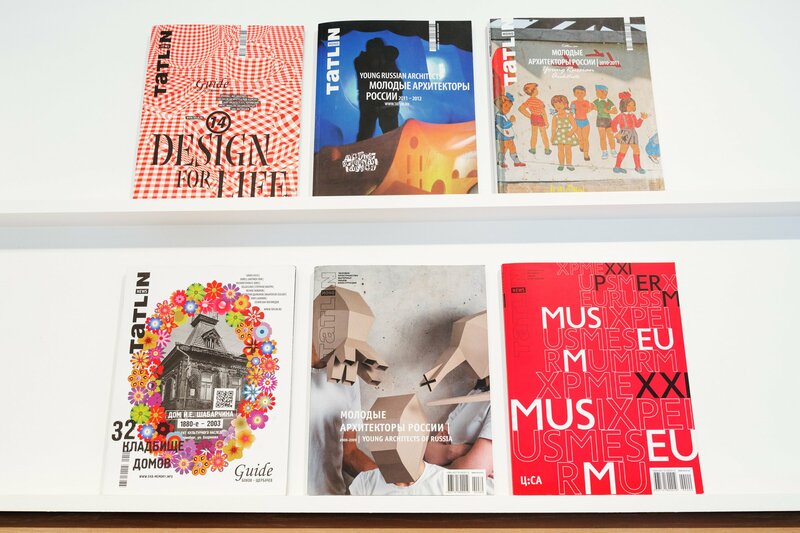 The two competitions elicited dozens of bizarre, impressive and oppressive entries. But they ended in victories for schemes that basically resurrected what was by then actually an obsolete type — the American skyscraper of the 1900s and 1910s, in which a steel frame was clad in historicist ornament, whether Gothic or baroque. Alternatives, like Ivan Leonidov's remarkable Constructivist design for the Commissariat, were peremptorily dismissed. 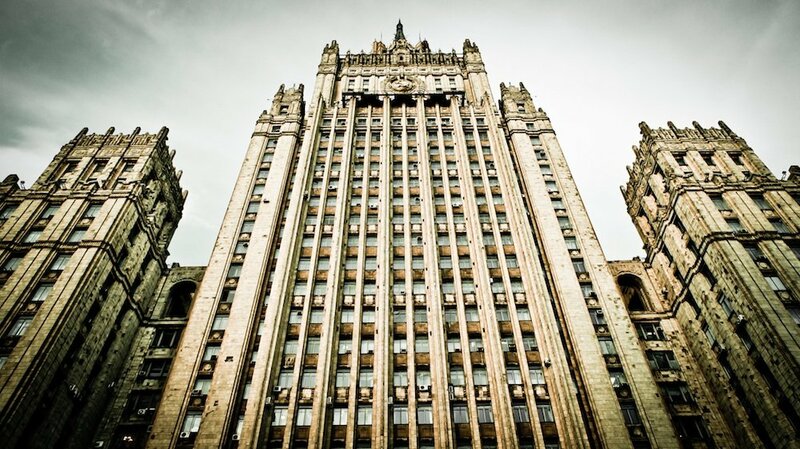 The new Stalinist Moscow was to resemble pre-war New York. It would not be unplanned like New York — but that didn't mean it wouldn't be indebted to Americans. In the early Thirties, a Russian translation appeared of The Metropolis of Tomorrow (1929) by American architectural draughtsman Hugh Ferriss. Ferriss proposed a city in which vast, ziggurat-like, hierarchical skyscrapers would be placed strategically on axial boulevards. Each enormous building would be a city within itself, housing universities, hospitals and ministries. Smaller ziggurats containing housing were to line the wide, wide roads. 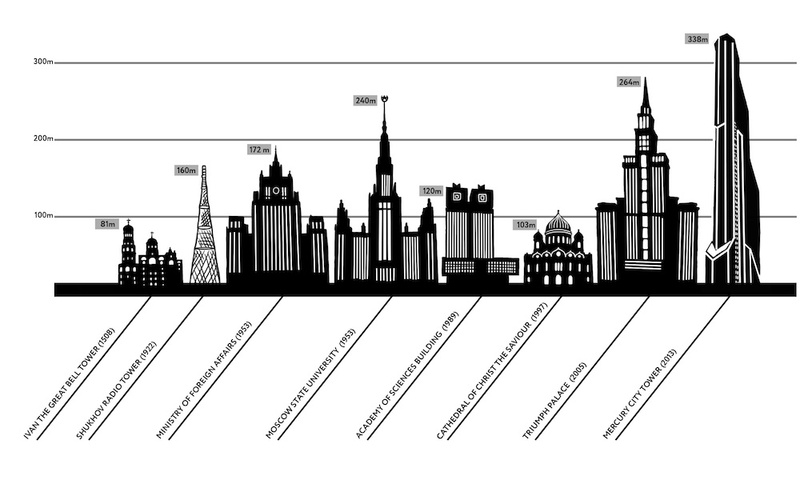 After 1945, this is what happened to Moscow, when seven (out of a planned nine) “tall buildings” were built that closely resembled Ferriss's proposals. 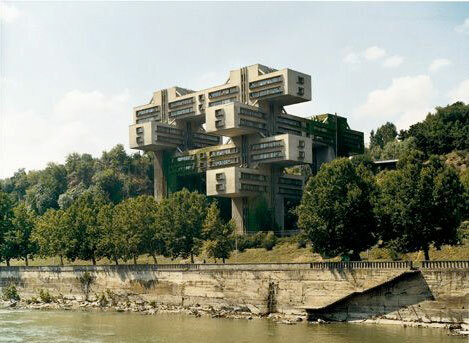 Their functions — hotels, elite housing, ministries and a university — echoed the ziggurats in The Metropolis of Tomorrow. What is more, the visual result of their unified style — their spires were insisted upon by Stalin himself — was a city constantly dominated by central authority. 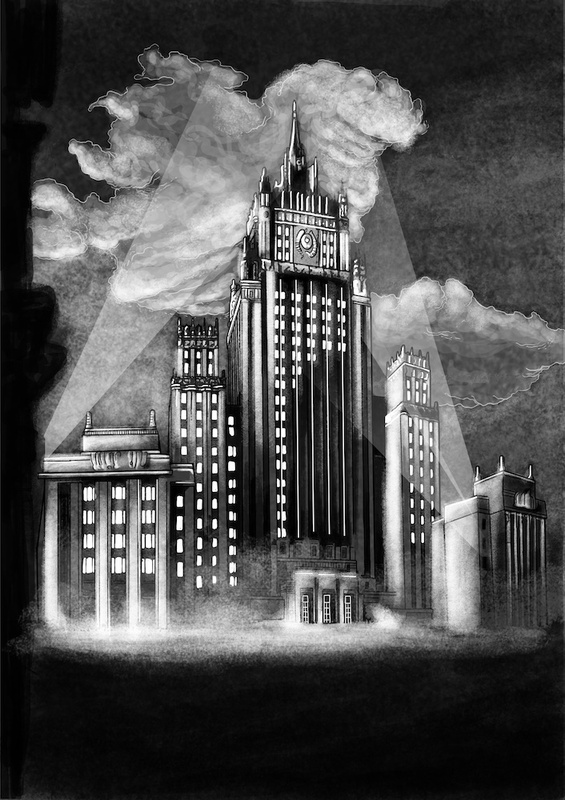 In isolation the likes of the Hotel Ukraina or the Ministry of Foreign Affairs (both in the west of the city) might have resembled a spread-out version of Gotham circa 1912, but together the so-called Seven Sisters comprised the most complete skyscraper skyline of any European city. 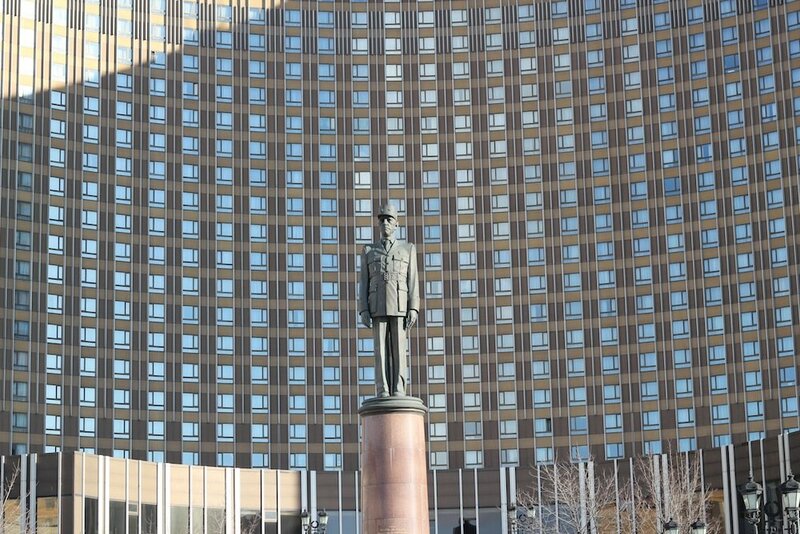 When Moscow built Europe’s tallest again, in 2005, it was as a sad attempt at evoking these Stalinist “glories”: the Triumph Palace (elite apartments, again) gives an approximation of the spires and the cladding of Stalin's NKVD skycities. The new towers of the Moscow City complex are visually different, their relative sobriety a seeming attempt to avoid a stereotypically “New Russian” thuggish kitsch. The development itself is designed to lure Eastern Europe-oriented financial institutions away from the competing financial centre of Warsaw. Like Warsaw's towers, they are slick, anonymous corporate architecture, mostly designed by US-based multinational firms: now, instead of being imitated or interpreted, the Americans are merely imported. 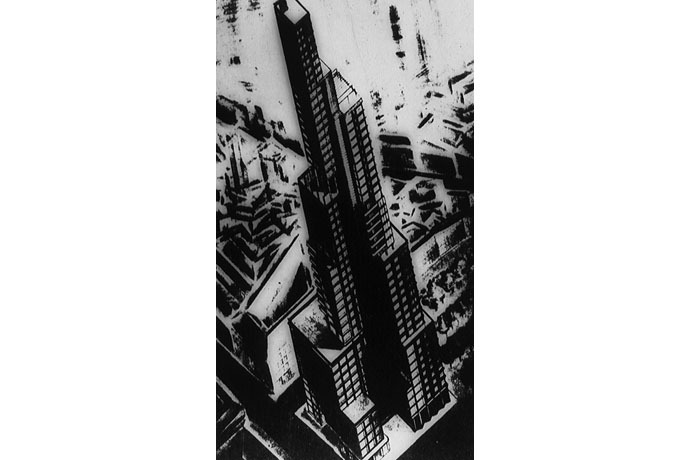 Moreover, the way the towers crowd into each other, in a very small post-industrial site, abandons the idea of planning and co-ordinating a high-rise city, be it Lissitzky's non-hierarchical city or the neo-Assyrian despotic metropolis created by Stalin. The Mercury City Tower caps a real capitalist skyline, presumably to accompany a “real” capitalism, one where the violence and rapacity of primitive accumulation can be as distant and forgotten about as it is in Frankfurt. 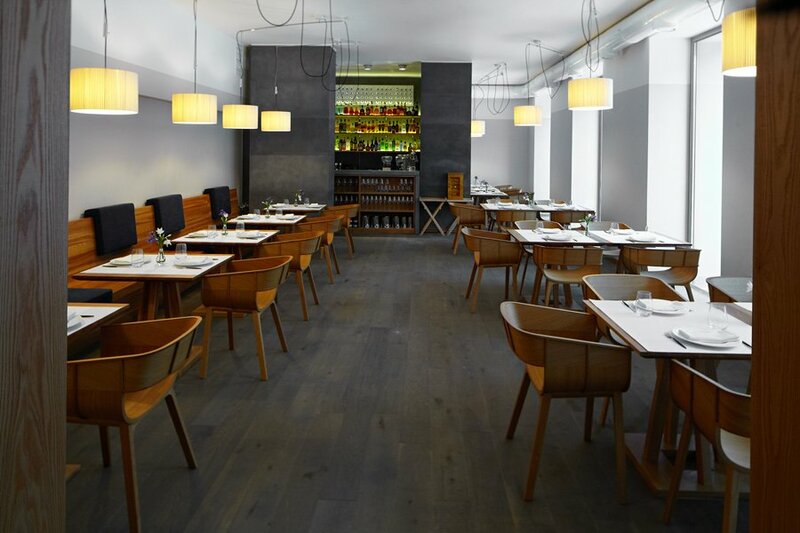 Moscow City is smooth, immaculate, glazed, anonymous, guiltless. Or so it claims.